Dr Sathianathan arrived in the Territory in 1976 to work in Alice Springs sponsored by the Department of Health to work as a Medical Officer in the hospital. She moved to Darwin in 1985 and worked as the Deputy Medical Superintendent at Royal Darwin Hospital for the next 22 years, retiring from her full-time position in 2007. Her main interest is music and she has played with the Darwin Symphony Orchestra for over 3 years. She continues to work with the Department of Health and volunteers for Alzheimer’s NT working on various projects. 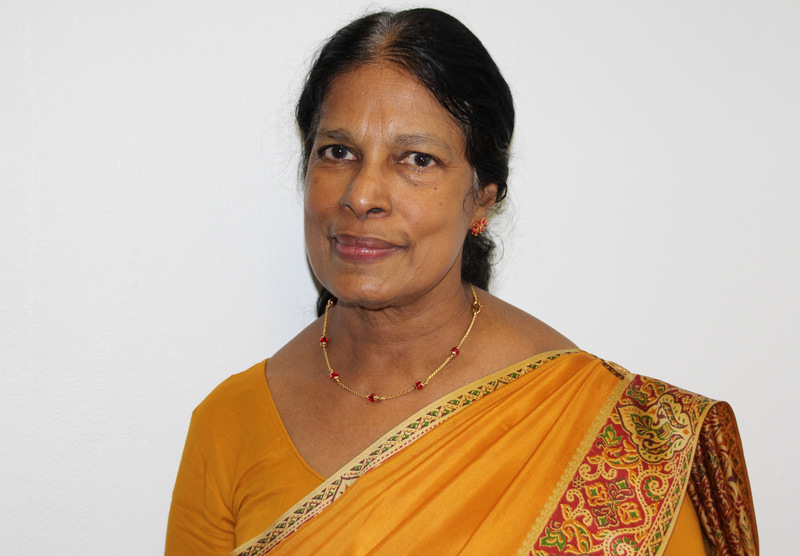 Dr Sathianathan joined the Board of COTA in 2014 to help serve seniors and address those issues affecting their health and welfare. She is delighted to join the Board in continued service and looks forward to continuing COTA’s vision in creating an age-friendly Territory, which offers equitable and fair circumstances for all senior Territorians.